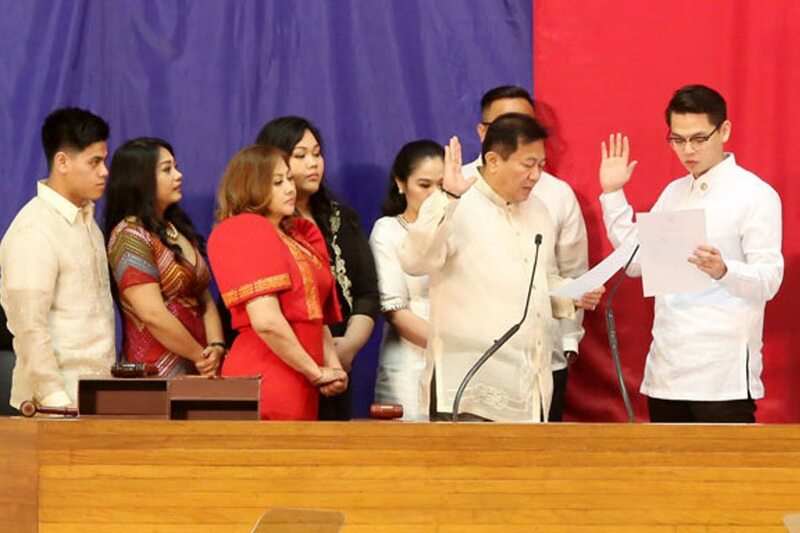 If all goes well for the family of former Speaker Pantaleon Alvarez in the upcoming elections, he, his wife and daughter could all be sitting side by side when the 18th Congress opens on June 30, 2019. Emelita Alvarez is the first nominee of party-list group METRO, or Movement for Economic Transformation and Righteous Opportunities. Pantaleon is seeking reelection as Congressman of Davao del Norte's first district. What a sight, especially because the couple is estranged. Mr. Alvarez introduced his girlfriend to the public in 2017. The Alvarez’ daughter Ana has also joined the congressional race as the top nominee of the 1-Alliance Advocating Autonomy Party. Their case is not unique. In so many other congressional districts, it is a family affair. Only this time, the political families are trying to control not just their bailiwick, but also the party-list system by fielding their relatives as nominees. Alvarez’s buddy, Ilocos Norte Rep. Rodolfo Fariñas, now on his final term, is running for governor of the province. His daughter Ria is running in his stead in the first district of Ilocos Norte. His son, Rudy, and a nephew's daughter-in-law, Lira, are listed as the first and second nominees, respectively, of party-list group Probinsyano Ako. 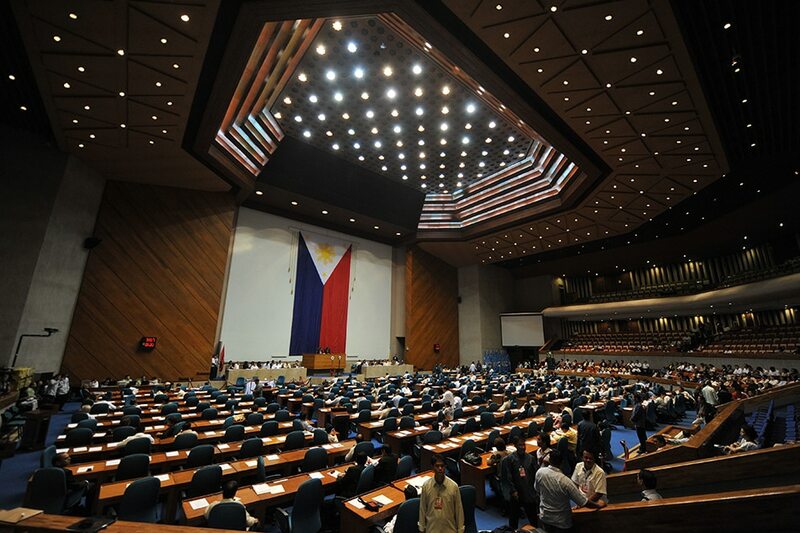 In all, there are 49 party-list nominees from political families -- or families that have produced more than one elected or appointed official-- based on certificates of nomination gathered by ABS-CBN's Investigative and Research Group for the May 2019 elections. 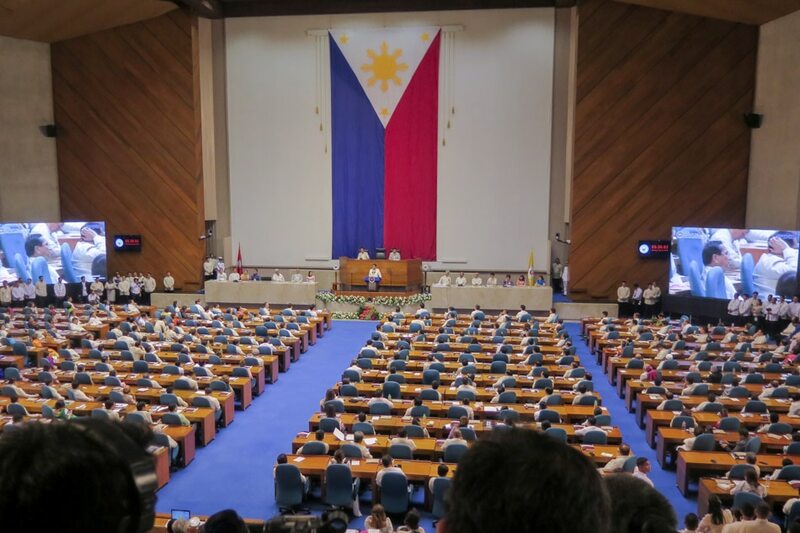 If their parties obtain the required number of votes, these nominees could occupy 83 percent of the 59 party-list seats up for grabs in the 18th Congress. In the 16th Congress, which commenced in July 2013, about 25 percent of party-list representatives belonged to political dynasties, according to a study of the Asian Institute of Management Policy Center. This was already troubling for good governance advocates back then. It is probably more troubling today. In fact, the political families have become brazen, according to University of the Philippines Associate Prof. Danilo Arao of election watchdog Kontra Daya. ABS-CBN's data, said Arao, illustrated the need to scrutinize the list of nominees for the party-list elections. "Under normal circumstances, I would tell you that the nominees are not important, it's the track record of the party-list group that's crucial," he said. "But we are far from normal. 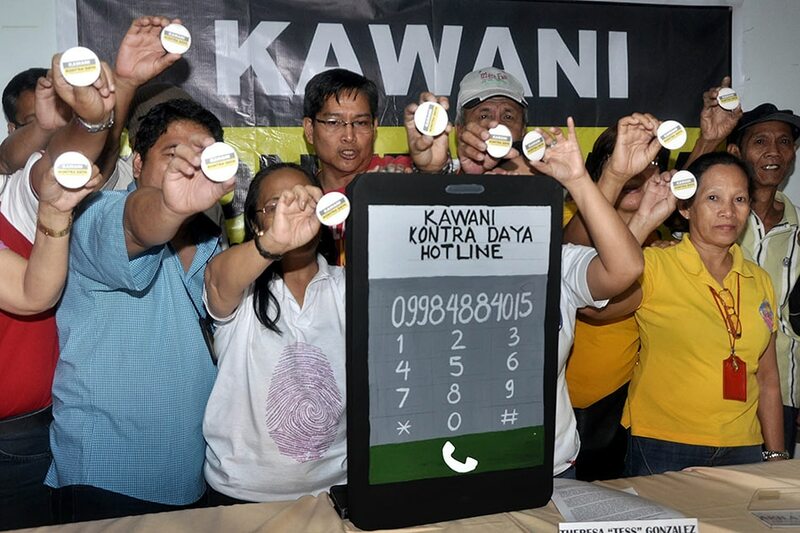 Party-list groups have been hijacked by prominent political dynasties. Right now, it's not just about the party-list, but more so about the nominees," he added. “Public office is a public trust and should not be treated as a family heirloom,” said Prof. Julio Teehankee of De La Salle University, who observed that some political dynasties are now using the party-list elections to stay in power. ”The party-list seats were meant for the marginalized but traditional politicians will just gobble up those seats,” he said in Filipino. Rep. Sharon Garin of AAMBIS-OWA, who has occupied the seat since the 15th Congress, is hoping to represent the party for a fourth consecutive term. Her cousin, Jimmy Garin, is also a nominee of the party-list. Her sister-in-law, Janette Garin, the former heath secretary embroiled in controversy over the Dengvaxia vaccine, is running for office in the 1st District of Iloilo, a seat about to be vacated by her husband, Rep. Richard Garin, who is equally controversial for beating a policeman last December. Aangat Tayo's incumbent representative, Neil Abayon, hopes to return to Congress this June together with his father, former Rep. Harlin Abayon, who is gunning for a seat as representative of Northern Samar. Neil's wife Milliscent is also a nominee of the party-list group. And former Cavite Congressman Plaridel Abaya, father of reelectionist Representative Francis Gerald Abaya of Cavite's first district, hopes to return by way of the party-list group YACAP. Plaridel's other son, Peter, is also the top nominee of party-list group Kabayan. A party-list group is allowed a maximum of three seats, with the first seat obtained being given to the first person on the list of nominees, the second seat being given to the second person on the list, and so on. 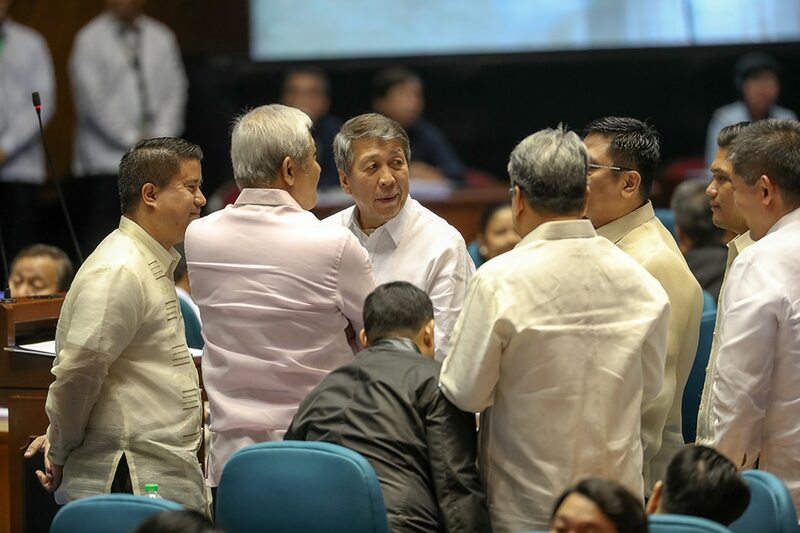 There is at least one party-list nominee from the Albanos of Isabela, Antonios of Cagayan, Atienzas of Manila, Bautistas (or Revillas) of Cavite, the Belmontes, Sottos and Defensors of Quezon City, the Benitez family of Negros Occidental, the Birons of Iloilo, Cerilles of Zamboanga del Sur, Collantes of Batangas, De Venecias and Estrellas of Pangasinan, Nograles of Davao, Oaminals of Misamis Occidental, Romualdez and Ongs of Leyte, Ortegas of La Union, Mangudadatus of Maguindanao, Pacquiaos of Saranggani, Pangandamans of Lanao del Sur, Panganibans of Isabela, Rodriguezes of Cagayan de Oro, Tans of Sulu, Umalis of Oriental Mindoro, Velardes of El Shaddai, Velascos of Marinduque, and the Villanuevas of the Jesus is Lord Movement. There is also a nominee from the Aglipay, Briones, Ferriol, Lopez, Noel, Mendoza, Romulo and Santiago political families. In some cases, ABS-CBN found nominees from political families appeared at the bottom of the list submitted to the Comelec. Arao theorized that this was an attempt to deceive voters. "We should scrutinize beyond the third nominee. Sometimes as many as 10 nominees are listed, and then we see a ‘rigodon’ at the last minute. The person they really want in Congress will find himself at the top of the list of nominees," he said in Filipino. The rigodon is a dance where participants change partners. The author of the Party-List System Act, former Rep. Michael Mastura of Maguindanao, said a nominee could not be disqualified simply because he or she is from a political family. "Political dynasties were not a consideration (when the party-list bill was drafted). It's not one of the benchmarks or metrics," he said. But allowing members of political clans to participate in the party-list elections, said Mastura, would defeat the purpose of the law. "My vision was to have as many interests as possible represented in Congress: the elite, the landowners, big businesses, but also the poor, the laborers, farmers, the fishermen,” he said. “The elite already run in ordinary (district) elections. Ang tao na hindi makatakbo duon, dito dapat sa party-list elections makatakbo. If political clans dominate even the party-list elections, there will be no representation of varied interests in Congress, only the (political elite's) interests will prevail," he added. That’s one of the problems in Philippine elections, according to Teehankee. He said there is such a thing as "incumbent advantage," where incumbent officials often use their influence and resources to win an election. "In a real democracy, there is equal opportunity for any person to be elected," said the former dean of the De La Salle University College of Liberal Arts. "But when an incumbent runs for office, especially if he has been in power for a very long time, he has an advantage over the others. This distorts the concept of democracy." But for Emelita Alvarez, coming from a political family has nothing to do with what she said is her determination to take public service to the next level by running in the party-list elections. She said she would like to push for legislation to empower women. "With or without the man of the house, you have to stand up, do your own thing. Just like what happened to me. Why cry over spilled milk? Life should go on. I want to impart to women that it's not the end of the world, you have to fight for your rights." Emelita said she and her husband are now on good terms, but she would be the first to block his divorce bill, should he be reelected and refile it in the 18th Congress. And while she is aware that "eyebrows will be raised" because three Alvarezes are running for Congress, she refused to be deterred, she said. "They could say what they want to say,” Emelita said, “but deep in my heart, I only want to serve. Besides, nobody is sure that all three of us Alvarezes will win. No one will know until the election is over." "Magka-iba naman ang aming advocacy, 'di ba? I'm after the empowerment of women, the protection of children and the family. My husband is running for Congress in his district, ang concern niya is the needs of his district," Emelita said. Her daughter Ana said her political party advocates genuine autonomy similar to the Special Administrative regions of Hong Kong and Macau. 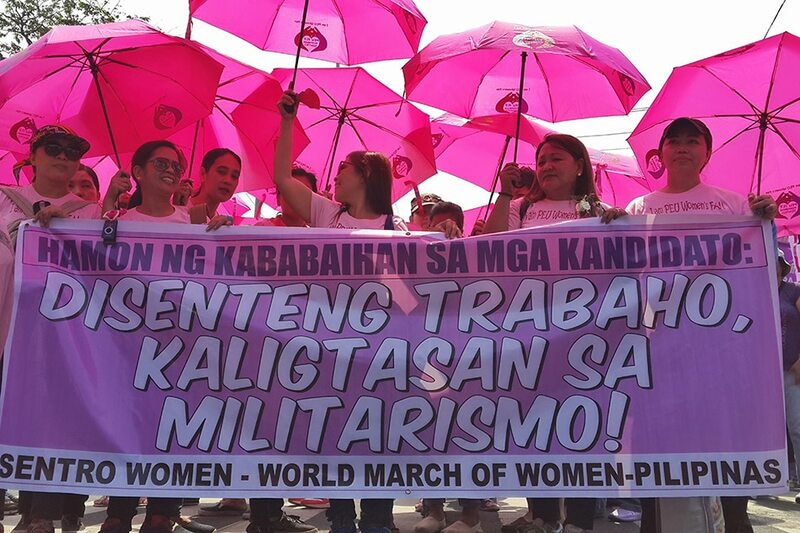 “To limit the party-list system to the representation of marginalized or under-represented individuals is a common misconception,” Ana said. Ana, whose father has access to private jets and remains politically influential despite his ouster as Speaker of the House of Representatives last July, appeared to believe that she is among those who would not win in a regular election. Arao of Kontra Daya said he was still hoping the party-list law would be amended. He said the marginalized and under-represented are not likely to win if they compete against candidates from powerful political clans. "What prevails in Philippine elections is called 'money politics'. Only the wealthy and influential win," he said in Filipino. In the meantime, he said the Commission on Elections could initiate forums so that election watchdogs, the media and the public can confront members of political families running in the party-list elections. "While they're still allowed to run, at least voters will think twice about voting for them," he said. Mastura said the law should be amended to say who, exactly, is disqualified from participating in the party-list elections. "There should be clear metrics," he said. But that's easier said than done, Teehankee said. Their attempts have been futile. "We can't trust traditional politicians to pass laws that will make them irrelevant, so it's incumbent on the voters to send the message that enough is enough," Teehankee said. Arao also suggested something that he conceded may be improbable, but not impossible. "Have delicadeza, if you are the son, daughter, sibling, or wife of a long-time representative. Politely decline on the premise that you want to give a chance to others who are really marginalized and underrepresented." 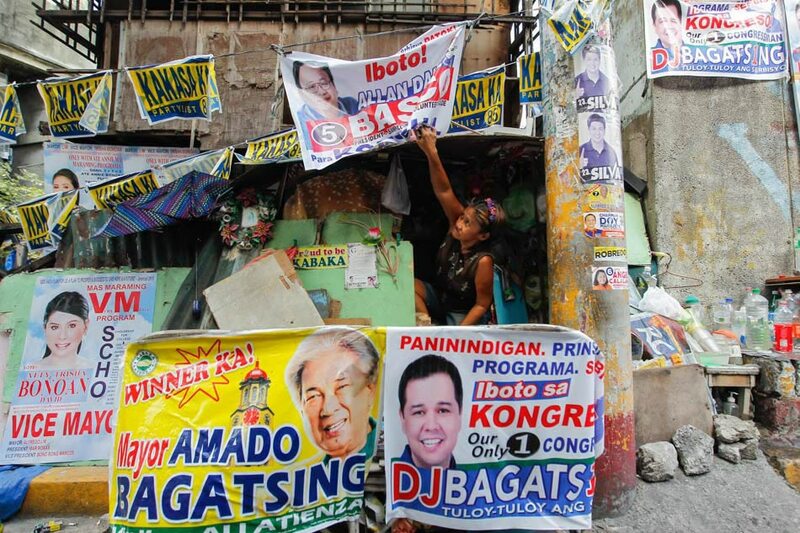 "Kontra Daya is not saying we shouldn't vote for these party-list groups. What we're saying is, make an informed choice. Study the information about these party-list groups. And if you still want to vote for a party-list group that's connected to a political dynasty, then that's between you and your conscience," he added.